Welcome back for Day 9, if you are just arriving for the first time all the details and the linkup can found HERE. Today I have Paper Smooches and some of their designers as my guests. 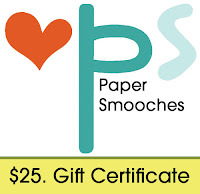 Paper Smooches is offering a $25 Gift Certificate to one lucky winner. 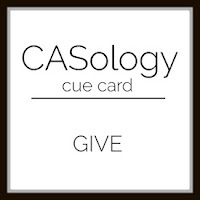 ..and one from me which is also for this week new CASology cue card! Comment if you like to colour images on your tags? or prefer to stamp solids? ...for your chance to win. What a great collection of cute tags. I like to color. Great tags, everyone!!! Sure to bring a smile to any face on Christmas! Hmmm since I'm very new to Copics, I would have to say that [attempting] coloring my images is what I will be doing this year, Tracey! 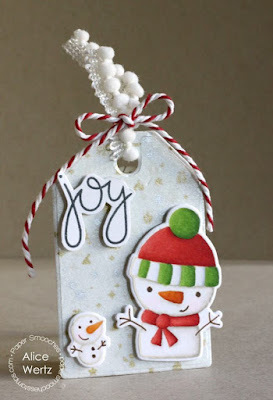 So giddy over these adorable tags! Those little snowmen rock! I love to color my images, it's a stress relief. 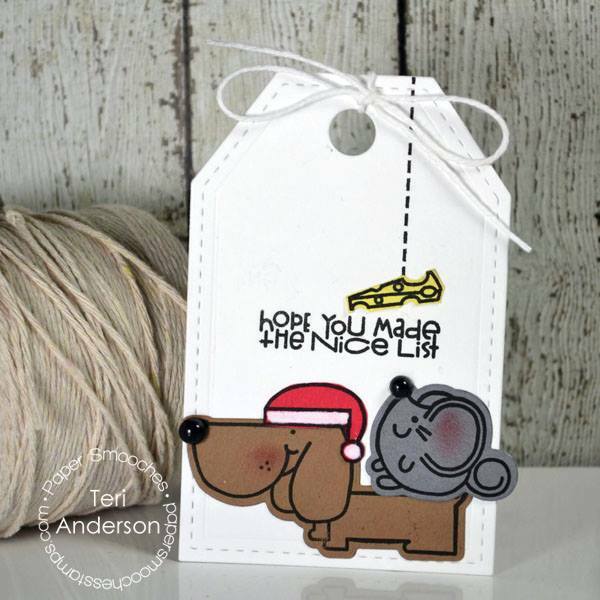 I LOVE these paper Smooches tags! They are all so adorable! Very fun and festive! What a line up of stunning tags!! I haven't really thought about a preference, but my current compilation of stamps enable me to stamp solids more than colour them in. I need to visit the main page! SO much eye candy, Tracey! WOW! I like to do both! I enjoy using my copics and also color with watercolor...but sometimes I'll stamp color or paper piece. Just depends on my mood and the project. Thanks for all the inspiration and the chance to win. The tags are all just so beautiful! I love that so many used that sweet little snowman! i like to stamp as I make a lot of tags. So many fun and cute tags today. I like to paper piece or solid stamp on my tags, because copics run through to the back. I like to color my tags when time permits. I like to do both ... depends on the design. All the tags are so cute! It depends on the design of the tag, whether I stamp or color. I like to do both! Love the tags today! So cute! I don't mind coloring, but I'm not good at it. These are all so cute, except the wreath one which is one of my favs! I only color when I have to--haha--love using solid images! These tags are so adorable today! I like to stamp solid images on my tags. Awesome tags! I like to colour vs. solid stamping. I love to color, especially with copics, though I'm still learning! Thanks for the chance to win and for the wonderful inspiration. 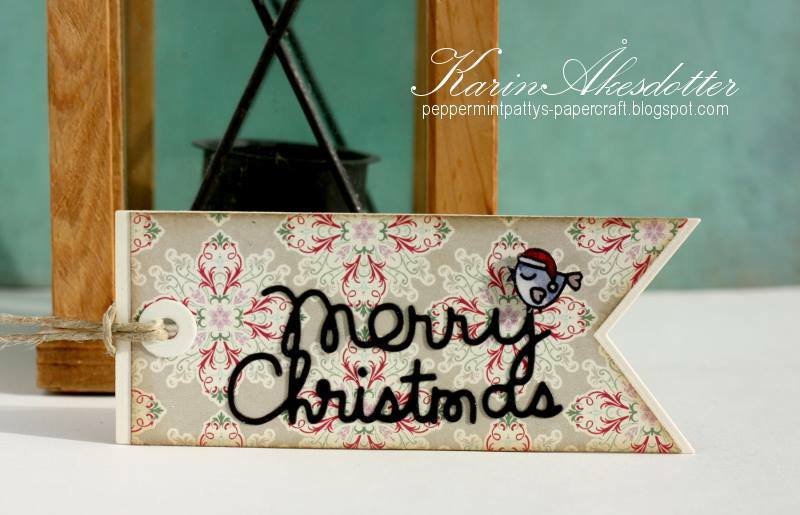 Love all the inspiration from the PS Design Team girls, and your tag is so sweet, Tracey! Beautiful coloring on your snowman, too! What lovely tags!! The PS girls did a fabulous job!! I am not a colourer so solid all the way. Lovely samples by everyone! Beautiful tags!! I usually shy away from coloring images. But now I'm learning to face the challenge and color the images. So this year I'm planning to color the images on my tags. I love the shaker tag. Adorable tags! I love all the snowman images! I usually like to colour the images on my tags. WOW - so many adorable PS tags! I'm so inspired I want to play right away! 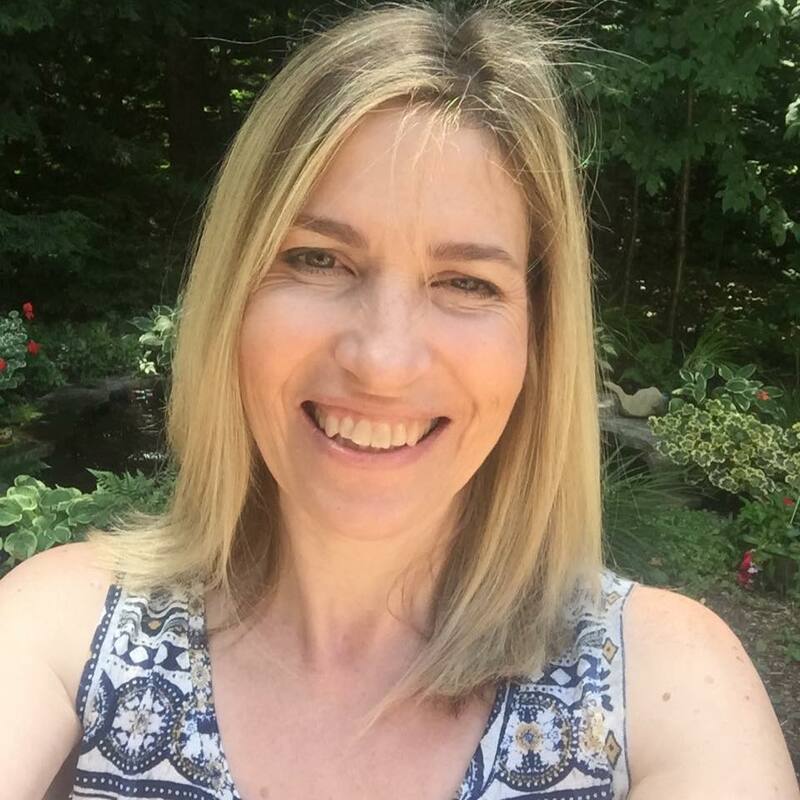 Thanks for organizing this fun event Tracy! You are amzing! Hugs! My goodness - what a fun bunch of tags! so many great designs! Such adorable tags! I prefer to use solid color stamps or paper piecing on them. I would stamp my tags. If I colored any - it would be for very special people who I knew would appreciate the work I put into it. I love your tags. The puppy with the mouse on his back is darling. thanks for sharing so many wonder designs. 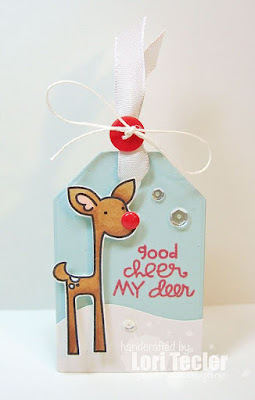 I love Paper Smooches - all their stamps are so cute, just like these tags! I think I'd like to colour but with not enough time I just stamp. all of the PS tags are just adorable.. 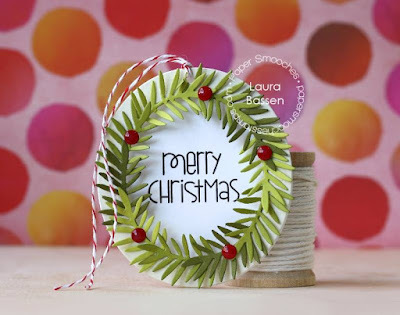 I really love Paper Smooches, so happy to see all of their adorable tags here today! 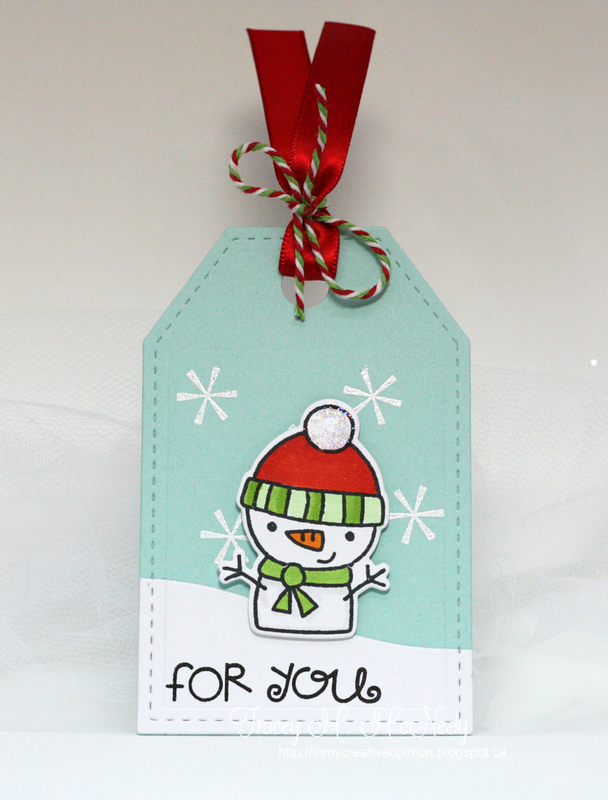 I love your cute snowman tag, Tracey! I like to color images for my tags, but I also like to use die cuts a lot. Oh I love Paper Smooches! Great inspirations from the team today! 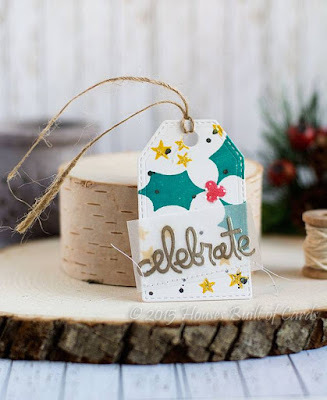 I love stamping on my tags instead of coloring, it is only because I am new learner when it comes to coloring images. Paper Smooches always makes me smile! Cute as can be! And I like to color and just stamp... It depends on what mood I'm in at the moment ;). So many awesome tags today! I have to say that I am very partial to snowmen and actually sat and die cut 15 snowmen last night! Now to get the finishing touches done... got some great ideas here today! So many adorable tags today!!! Gosh these are so cute! I like to color my images on my tags. What adorable tags, everyone! 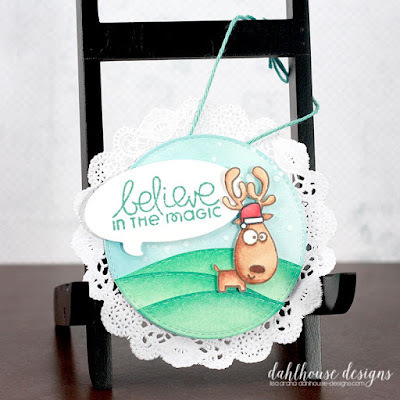 I generally prefer to color in my images… But I also love solid layered stamps. I prefer stamping the color. I need to invest in copics, but I think I am afraid to take the leap! These are so cute! I tend to stamp only as it takes more time to color but I do love coloring these guys in! 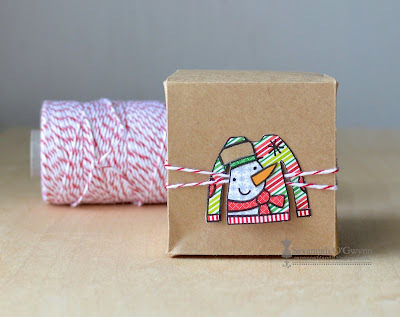 Great tags and I love to color with colored pencils or watercolors. So many adorable images today! I am not a great colorer but I do like to add bits of color to my images - it gives them a pop without doing all the work! Uh oh, how will I ever decide what tag to be inspired by? They're all so awesome! So many adorable tags!! I love to use all those different methods. I like to color and stamp solid images. Beautiful tags today! These are all sooooo adorable!!! I usually color the images on my tags with Copic markers. you know I love me some snowmen! Oh wow, love what the PS DT has done, these are all fantastic!! Your wee snowman is adorable and I love your color combo! If I have time, coloring is relaxing. But if I'm in a pinch dies cuts and quick stamping is the way to go !! Beautiful Inspiration today! I like to do both coloring and stamping- I guess it depends on the image! What an adorable tag you made. 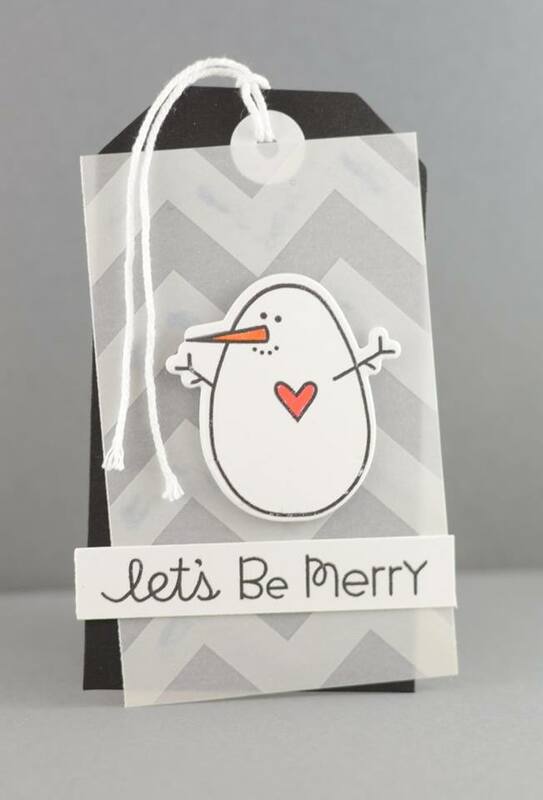 This PS snowman is so so cute and so are the other tags the team made. I like to color my tags as long as it is a die cut, because I like to use copics, but don't like it showing through on the back! I don't mind a stamped image though! But I do like quick and easy! Those tags are all so cute! I just love PS critters! LOVE your ADORABLE little snowman scene Tracey!!! I need to do a lot more more with my colouring skills, so I tend to use solid images and punch out / die cuts. 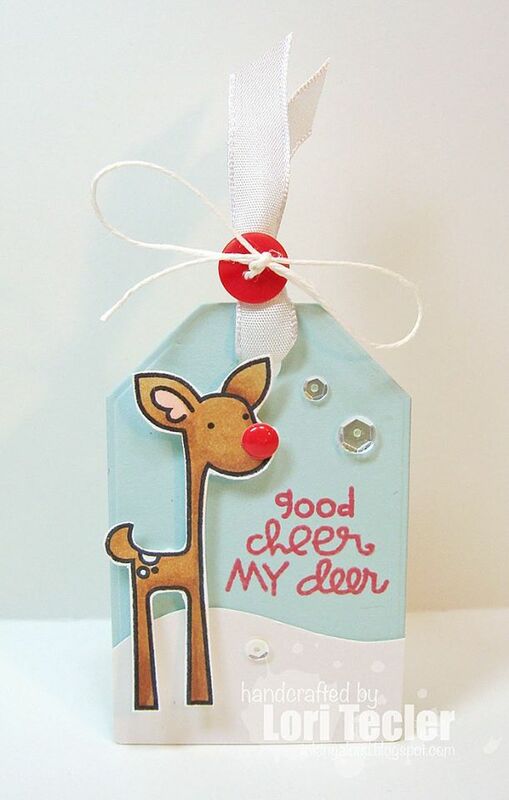 I confess that I am enjoying my Zig Wink Of Stella Glitter Pens and colouring is SO MUCH MORE FUN that it ever used to be, so I expect our Christmas tags will have LOTS of SPARKLE this year!!! 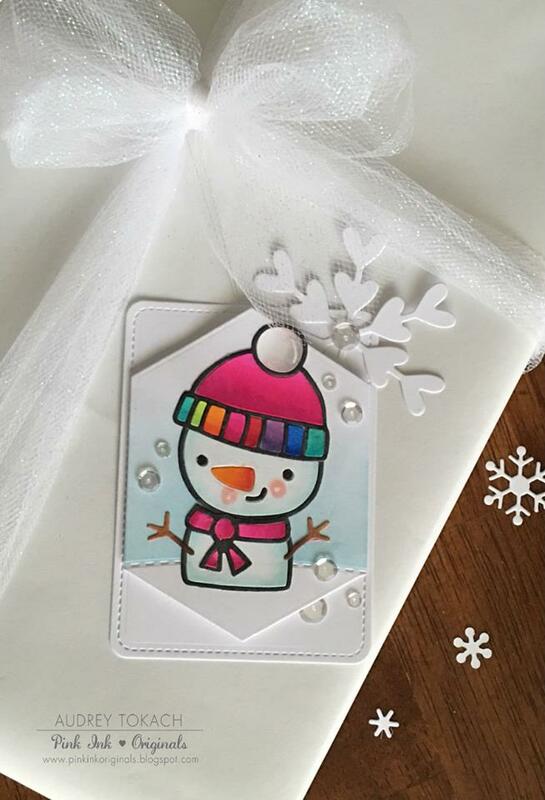 With all the wonderful images available I love to color on my tags. I love your little guy, Tracey, and all the other Smoochers. More Awesome tags!! I like to color images on my tags!! Adorable tags, I love shaker tag and tag with wreath. While it might take a little more time, I LOVE to color! Gosh, there is so much inspiration today with all these adorable tags. I adore all the sweet snowmen and Laura's wreath design is just awesome! 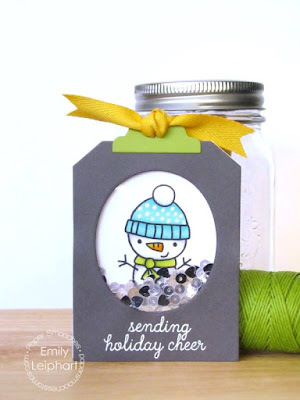 PS has some of the best images, love all the cute critters and snowmen, and sweaters here! No serious preference to coloring or stamping solid images; just depends on the design and who it's for! Another set of adorable tags! My goodness so many different styles and techniques, difficult not to get inspired. I forgot to say most of the time I color with copics you can always add a mat. Love papersmooches! So many cute designs in this group! Superb creations! The little snowman is so cute! Love it! 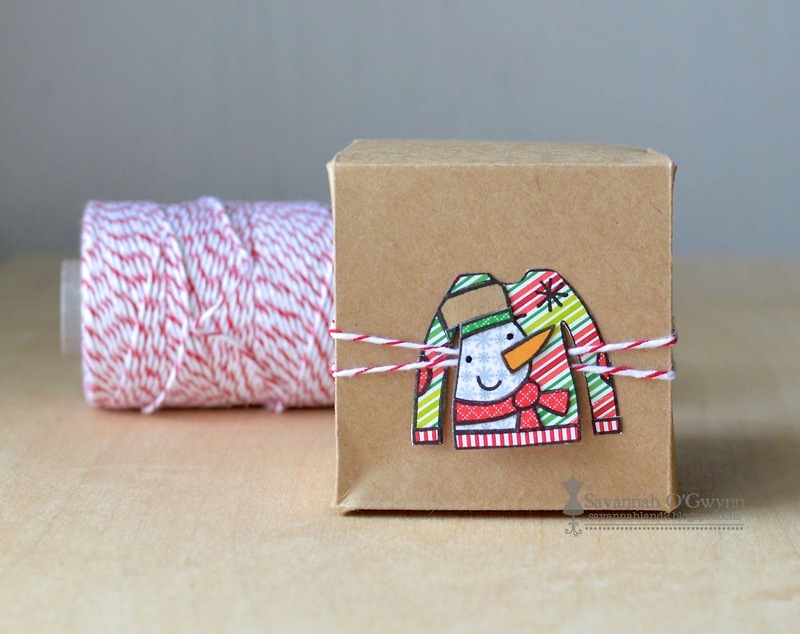 Papersmooches has such fun images, very cute tags today. I like to color images but if I want to make quick tags I go for solid images. I like both, sometimes I just color part of the image. Adorable tags today! I think I prefer to color them but some solid stamping is fun too! I prefer to color mine. I think that's just because I have more line stamps than solids right now though! I have loved coloring since I first held a crayon as a toddler, so I use a lot of images that need coloring, but solid stamps are welcome in my house too. In other words, I do both. I like to do both coloring and solid stamping. I tend to do solid stamping when I want to heat emboss. These are all adorable tags!! 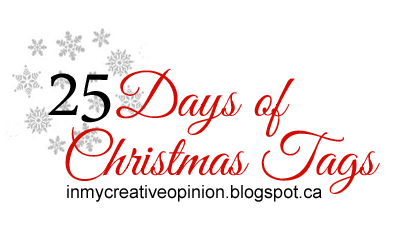 I just started coloring so I am looking forward to coloring some images on my tags this holiday season. these tags are adorable!! I prefer to stamp solids - coloring is not my strong suit. 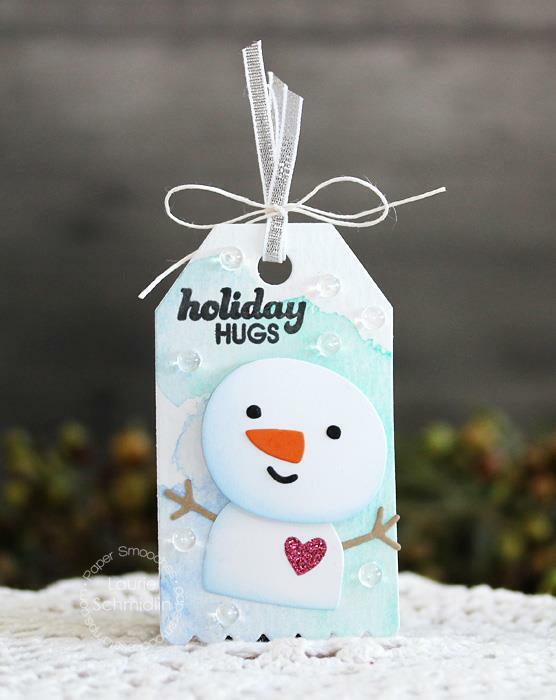 Adorable tags, love that cutie pie snowman! I like to color things like a snowman since I only have to do a few details. I usually don't do much detail coloring on my tags. Fabulous tags Tracey! I prefer to stamp solids because I'm not a very good coloring...maybe I should just practice more though. Paper Smooches make such cute stamps. Love vibrant coloured images! Enjoying the fun by Paper smooches girls! Such cute tags! I love to color my images! Awesome tags! The deer saying is so cute! I usually stamp a sentiment on my tags but when I do stamp an image I like to color with copics or Distress markers. More great tags! I do both, it depends how much time I have. 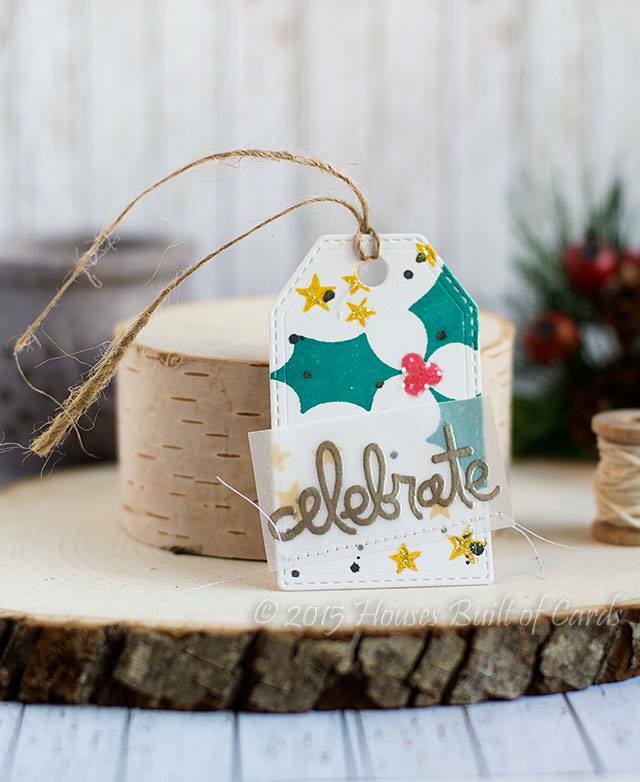 Such a cute tag, Tracey! I color my images in on my tags. I love to color my images! Too cute!!! I like to use a combination of both. I like coloring, and I don't own a single expensive marker! But I find it soothing. Such adorable images! I prefer colouring for that extra personal touch.